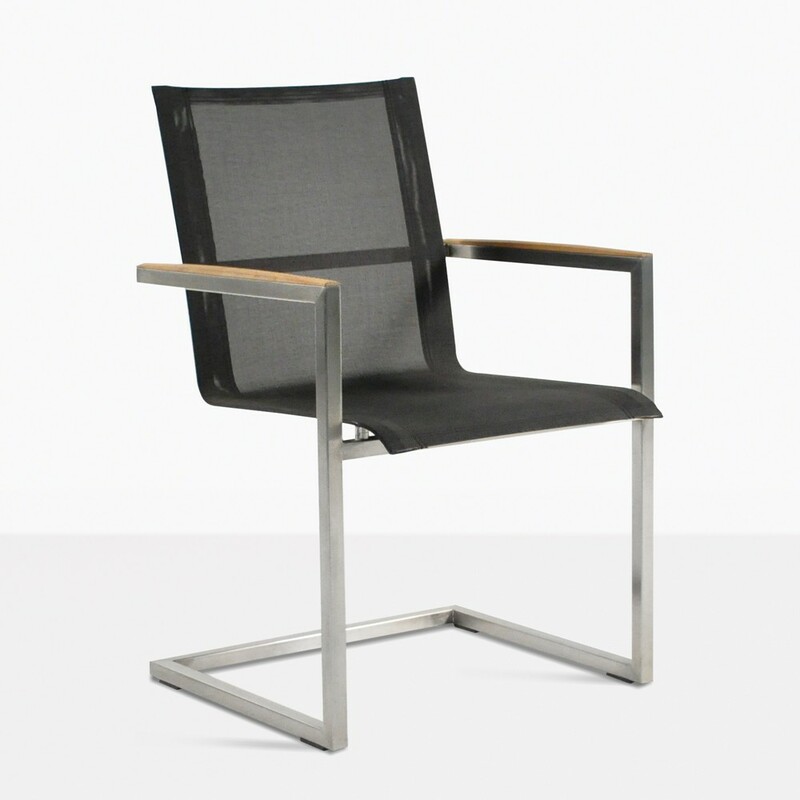 Modern design and contemporary style are embodied in this black Batyline® Mesh and marine-grade stainless steel dining chair with its sleigh bottom base and floating look. 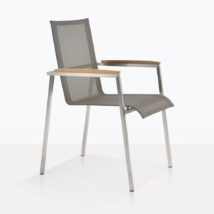 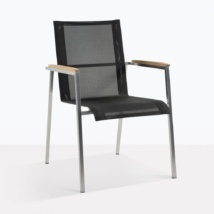 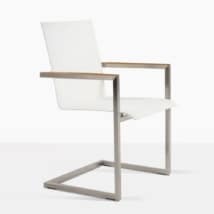 This chair combines stainless steel stability with the comfort of mesh. 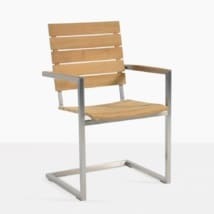 An additional hint of A-grade teak sophistication completes the look for this perfect outdoor dining chair. 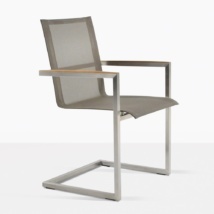 It is also available in taupe or white.